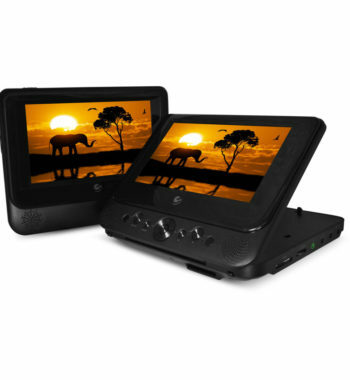 Enjoy your favorite movies, videos, music, and pictures on the go with the Ematic 7″ Dual Screen Portable DVD Player. A streamlined design makes it easily portable, while dual 7″ screens enable you to share your entertainment with friends and family. 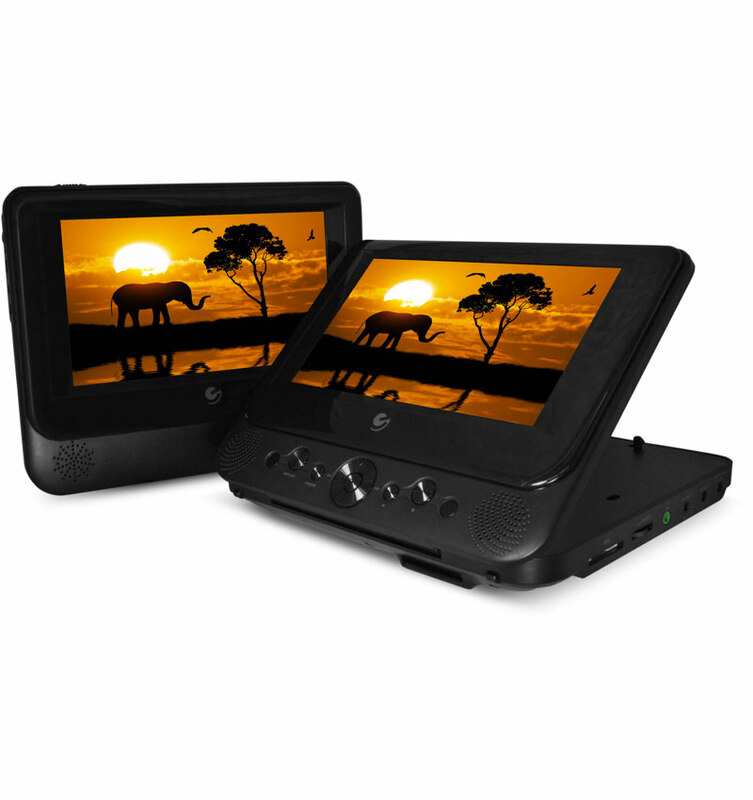 Enjoy your favorite movies, videos, music, and pictures on the go with the Ematic 7″ Dual Screen Portable DVD Player. A streamlined design makes it easily portable, while dual 7″ screens enable you to share your entertainment with friends and family. Included car-mounting straps let you easily attach the screens to a headrest to enjoy during long road trips or flights. This makes it a good choice for families with multiple children. 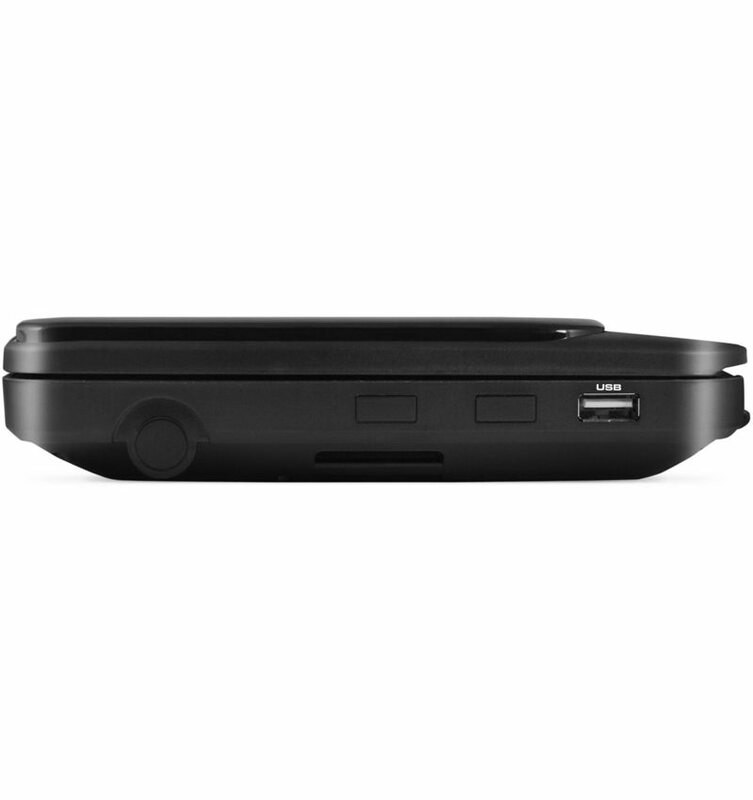 Use the fully functional remote control to control playback. 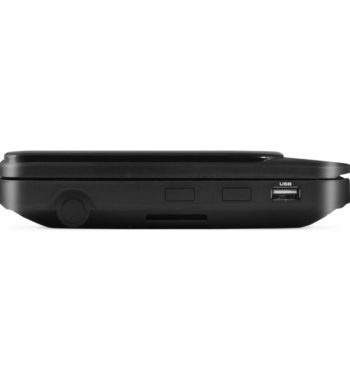 This portable DVD player features a cigarette lighter adapter as well as an AC/DC power adapter, ensuring that you can charge the screens just about anywhere. 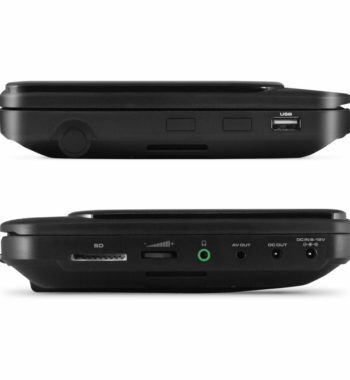 It is compatible with DVD, VCD, MP3, MPEG4 and CD media. 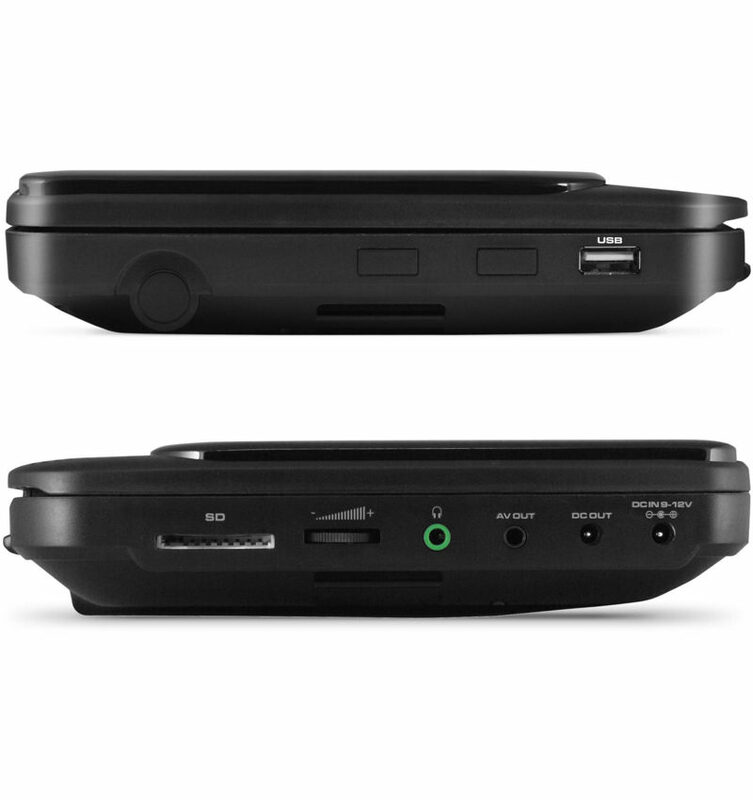 This Ematic 7″ portable DVD player features a built-in stereo speaker with a frequency response of 20Hz-20KHz.